History/Mythology – Clear Quartz was first believed by the Greeks to be deeply frozen ice (Greek Krystallos). 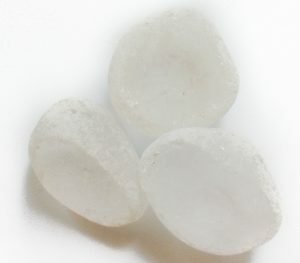 In all cultures through history where it has been recorded as being used it has been stated to be a highly powerful healing and magical crystal that could drive away demons and strengthen the wearer. 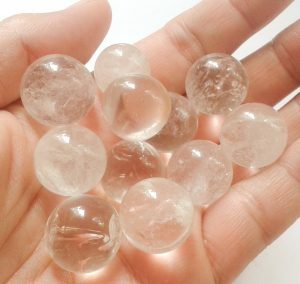 Clear Quartz is the most powerful healer and amplifier in all crystals. It can be used in conjunction with any other stone in order to amplify the stones vibration. 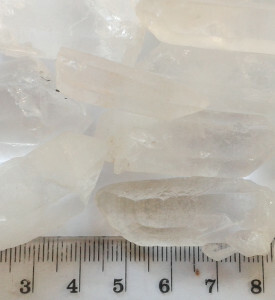 Quartz is also excellent in assisting you to understand and then remove any blockages that you might be holding with the added advantage that it works on all levels of self. It aids the memory and assist us to recall forgotten memories. It is excellent to program with an intent as quartz stores and holds information. Aids concentration and cleans on all levels. Program a Quartz Crystal by either doing positive affirmations or meditating your intent on it. This is particularly effective when working with clusters as they will send out the programmed vibration in all directions that the crystals point. Program your Quartz Crystal to send out the healing energy that you need it to, then keep it on or around you all the time. 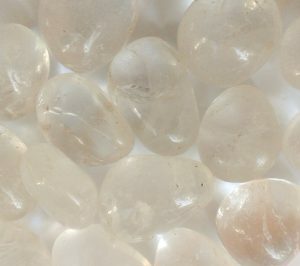 Jewelry made from Quartz Crystal is an extremely useful piece to have on and wear. 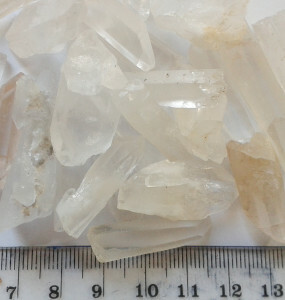 Healing with quartz Crystals is very powerful and should be in every healer/stone owners kit of stones. This can be further fine tuned by using the formation within the crystal as well please see here for different crystal formations.